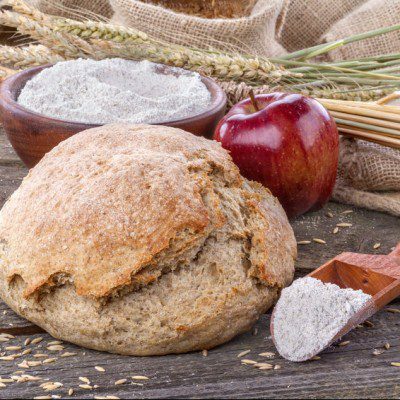 Fruits and grains are both sources of fiber for bakery products. Something we discuss often here is how to advance towards healthier products. One trending ingredient that can help: fiber. This year the FDA defined “dietary fiber” to include soluble and insoluble fiber. They also raised the DRV to 28 grams. So by focusing on fiber you can not only improve your nutrition label, but add some benefits to your products as well! Resistance starch: increases fiber content while maintaining a white or cream crumb color. It also has a neutral taste and low water-holding capacity, while increasing freshness and shelf life in some products. Dried fruit/fruit pastes: a source of fiber and of color and texture in a number of bakery products. Fruit fiber falls in the soluble fiber category, while foods like seeds or raisins are classified as insoluble.